The Other Beautiful | Unique, Awakening, & Real. No less than ideal. Unique, Awakening, & Real. No less than ideal. Beauty may be in the eye of the beholder, but what about the heart? Someone posted a link to this picture on Facebook today. 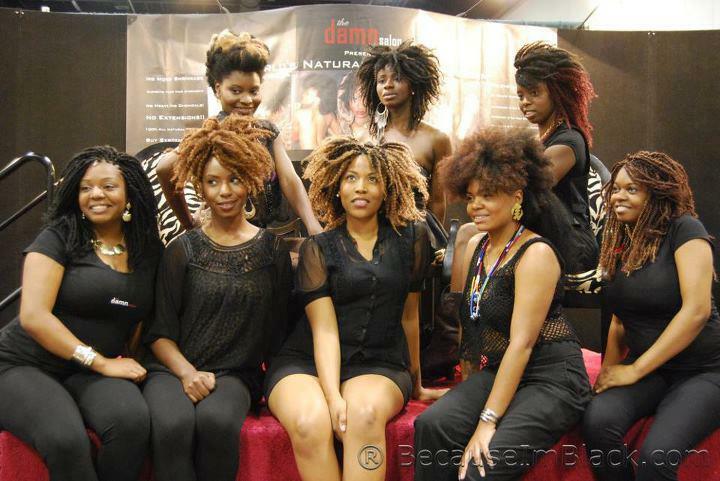 It was posted in a group that I had never visited with the following caption: “What is the first thing that pops into your mind when you see this pic?” I immediately reacted with admiration for the gorgeous natural hair these ladies have. However, most of the comments posted in response to this image expressed a sickeningly different perspective. I read comments including everything from harsh insults about their hair, to insults about their weight, various uses of the ‘N’ word, and many other racially and sexually offensive attacks on the character of these women – all in response to a picture. I quickly realized the picture was posted in a crass group whose goal it was to invite rude comments, but the hatred expressed by more than two hundred posters was really triggering for me. Now obviously my view, as a not-so-thin African American woman with afro-textured hair, is quite biased. I’m not suggesting that everyone should have expressed love and admiration for the picture. And in all honestly, I can see how some of the negative comments may be fair game – hey everybody’s got a preference. But the deep-seated animosity I read went far beyond simple preference. Those comments made the increasingly popular view that we’re living in a post-racial America just laughable. Heck, we’re not even in a post-gender America yet. So here’s my question, which put it all in perspective for me: If one’s heart has been hardened and filled with hateful or ignorant attitudes towards a certain race, gender, body type or even a texture of hair, is it even possible for that person to really recognize beauty in or respect others’ appreciation for any representation of the above mentioned aspects? My vote would be no, because unless there’s a true change of heart, they don’t even know any better. What is yours? I had really been trying to figure out what my first public blog post should be about, and today, my daughter unknowingly wrote it on my heart. I had been in a bit of a funk because of, well, just “stuff’ that I was dealing with. I was doing some work on the computer and had asked the children to play quietly while I tried to get over a pounding headache. Then my daughter came and joined me. Now, of my five children, this daughter – my second-born child – has presented the most emotional challenges for us recently. She’s the one for whom I’ve had to send up the most “knee mail” (prayers) in recent months. So whenever she spontaneously initiates dialogue with me, I try to fully engage and respond honestly, but carefully. While working in her scrapbook, she asked me to look at something she had added. I did, and complemented her on her choice – it was a really bright, colorful, somewhat abstract picture of a person with a big, curly afro with lots of pictures of “thoughts” in the hair. Beautiful picture; kind of made me think of all the things floating around in my head. After I put the scrapbook down, she asked me, “Did you even see it?” “Yes,” I said, “Did you not hear me telling you how pretty and bright it was?” “I heard you, but what about the other picture, the one with the scripture by it?” What other picture? I was thinking as I opened the scrapbook back up, And with a scripture?! On the preceding page, was a much more subtle picture of eyes – kind of sad-looking eyes. Next to them, my daughter had cut out and glued the words: “So smile”. I felt myself smiling as I thought about her gift for noticing subtle statements in pictures, and artful messages that others may miss. Then I looked towards the top of the page and saw where she had written, “He will yet fill your mouth with laughter and your lips with shouts of joy. Job 8:21”. My eyes began to fill with tears as I realized what I had almost missed. My baby – the one who had expressed the most unhappiness recently; the one who has the least to say after a message at Church, or after our family devotions at home, the one for whom I had been crying out to God the most – had used one of her most treasured activities to creatively communicate her awareness of the Origin of joy – our Creator. Just blew me away, and I let her know just how blown away I was. I had been distracted by the bright, colorful, attention-grabbing picture, and without my daughter’s prompting to look again and see the REAL treasure, I would have missed out on one of the most authentically beautiful moments – a God moment. I am humbled, and immensely thankful. Redefining beautiful and making the conscious decision to not conform, but be transformed - inside and out! Thanks for stopping by!